The Bulls Twenty9 Evo 1 Maximum Performance and best driving features for long touring. Thanks to its fully-integrated battery and powerful Bosch drive, It offers the best handling on long off-road tours. Intricately integrated, the powerful PowerTube 500Wh battery from Bosch ensures maximum endurance. Together with the steeply built-in Performance Line CX engine, a continuous powertrain is created that ensures optimum weight distribution in addition to any amount of power. This creates the best driving characteristics for long and challenging terrain tours. Frame: The Bulls Twenty9 Evo 1 features a lightweight 7005 aluminum frame. It has a high strength to weight ratio and is highly resistant to corrosion. 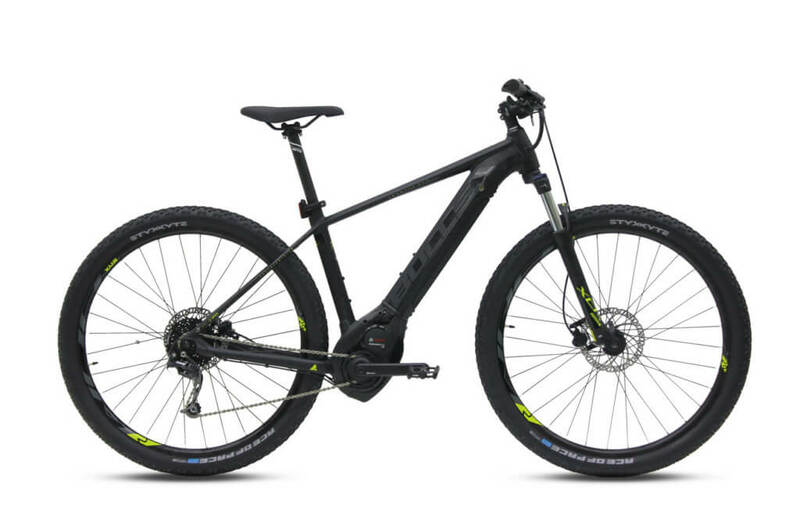 Drivetrain: The Bulls Twenty9 Evo 1 features a Bosch Performance Line CX 350W , a Shimano Deore, RD-M592-SGS, Shadow rear derailleur, 9 speed gear, Shimano Alivio SL-M4000 shifter. Tires: The power meets the ground withAce of Pace 57-622, 29×2.25 tires and DDM-2 rims. Ace of Pace 57-622, 29" x 2.25"